Fifty-six years after having organizedthe Olympic Games, the Japanese capital will be hosting a Summer edition for the second time, from July 24 to August 9, 2020. The Games in 1964 radically transformed the country. According to the organizersof the event in 2020, the Games of the XXXII Olympiad of the modern era will be “the most innovative ever organized, and will rest on three fundamental principles to transform the world: striving for your personal best (achieving your personal best); accepting one another (unity in diversity); and passing on a legacy for the future (connecting to tomorrow)”. The marathon results and photo are from the Olympics in Rio 2016. The Tokyo 2020 organizing committee (Tokyo 2020) and the Tokyo Marathon Foundation signed a major partnership agreement on Friday (28), under which both organizationswill exchange know-how and experience to support preparations for the Olympic and Paralympic Games Tokyo 2020. The partnership will give Tokyo 2020 the opportunity to deepen its understanding of how to prepare for and operate one of the most iconic events of the Olympic Games. The Tokyo Marathon Foundation's long-standing experience inorganizing and operating its annual event is likely to be a valuable factor in the success of the Tokyo 2020 Games. The Tokyo Marathonorganizers will in particular share their insights regarding the management of the flows of runners and supporters whileminimizing disruption to the city’s traffic, ensuring seamless security and managing volunteers, as well as setting up and implementing activities to promote the event. 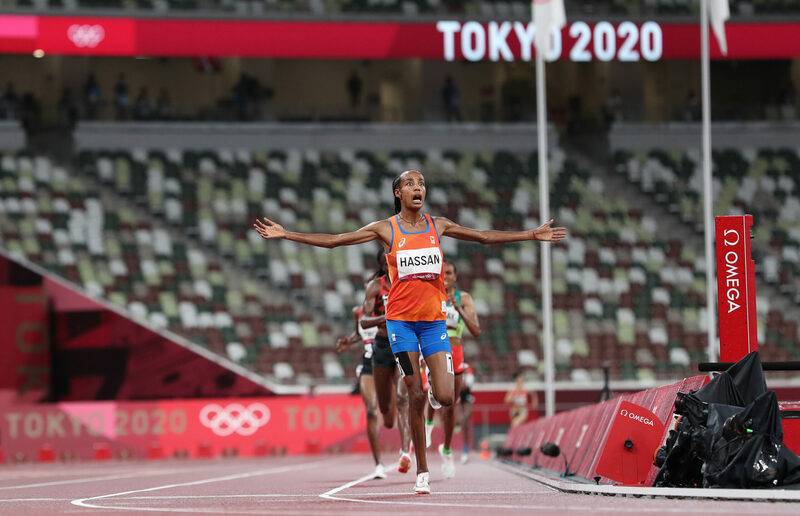 In return, the Tokyo Marathon Foundation will apply learnings that will be gained through the overall operation of the Tokyo 2020 Games as a legacy to enhance future Tokyo Marathon events. 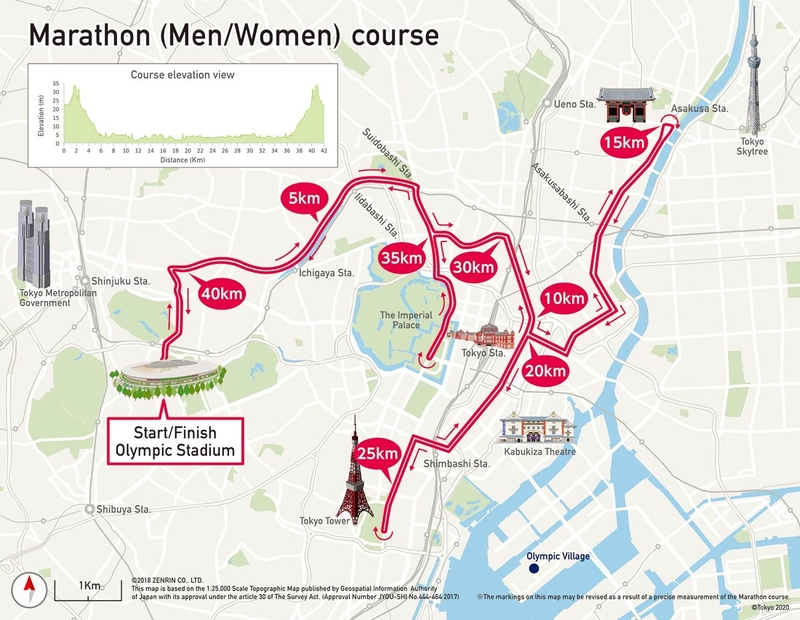 The Tokyo Organising Committee of the Olympic and Paralympic Games (Tokyo 2020) on Thursday announced the routes for its marathon event and for the 20 km and 50 km race walk events. These will pass through the heart of Tokyo and take in some of the capital’s most iconic landmarks, providing an unforgettable experience for the athletes, as well as for spectators along the route and TV viewers around the world. The marathon course will take in both modern and traditional districts of the city, starting and finishing at the Olympic Stadium and passing symbolic Tokyo landmarks along the way. These will include the Kaminarimon ("Thunder Gate") in Asakusa, guarded by the deities of wind and thunder; the Imperial Palace, the primary residence of the emperor of Japan; Ginza’s upmarket Chuo Street; the Zojoji temple, with the landmark Tokyo Tower as a backdrop; and Nihombashi bridge, the historic centre of the Japanese capital. The climax of the Tokyo 2020 marathon race will see the athletes running the final stretch leading to the Olympic Stadium uphill. Marathon running in Japan has a long history and proud tradition. The Tokyo Marathon in February, one of the world's top six city marathons, now regularly attracts huge crowds of supporters. This year’s event drew 300,000 applicants, with nearly 36,000 runners participating and more than one million people cheering on the streets.